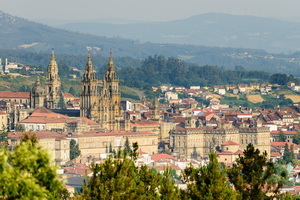 Santiago de Compostela, for centuries Europe’s most important pilgrim destination, is a ‘must-see’ for visitors to Galicia. There’s so much to see in the old town alone that a walking tour is an absolute must, as is a visit to the colossal cathedral dedicated to St James with its famous swinging “Botafumeiro”. A major University city, Santiago is lively by day or by night, with lots of authentic bars in which to sample the lovely white wines of Ribeiro or Albariño and the local speciality, octopus – a la Gallega of course!